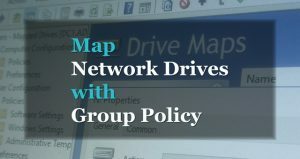 In this guide, I’ll show you step by step instructions on how to map network drives with Group Policy. If you’re still using login scripts then it’s time to switch to Group Policy. 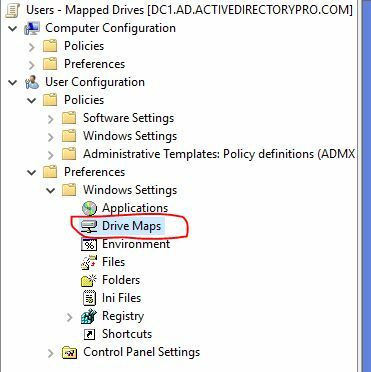 Mapping drives with group policy is very easy and requires no scripting experience. Bonus: It can actually speed up the user logon process. I’ll show you two examples, the first one is mapping a drive for a department, the second will map a drive for individual users. In addition, I will use item level targeting to map drives based on specific conditions like group membership, OU, operating system, etc. 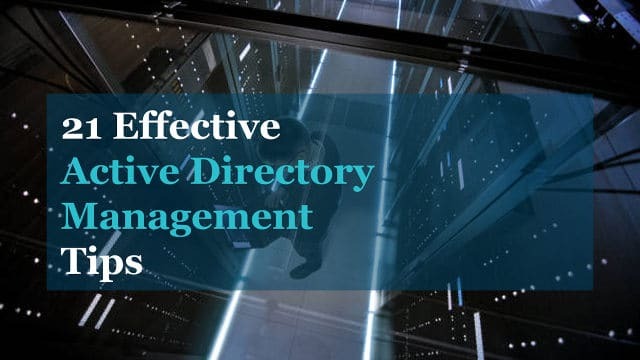 The ability to map a network drive with Group Policy was introduced in Server 2008. Logon scripts are a thing of the past. Logon scripts can actually slow computers down. Yes, group policy is faster. Unless you have some crazy complex script that does something that Group Policy cannot do then there is no reason not to use it. It’s scalable, as big as your Active Directory will grow logon scripts will scale no problem. It’s very flexible. With item level targeting you can target groups, users, OUs, operating systems and so on. 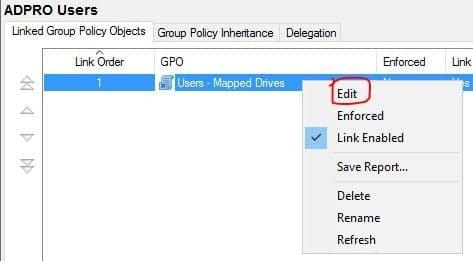 Now let’s move onto some examples of mapping drives with group policy. In this example, I’m going to map a network drive for the HR department. 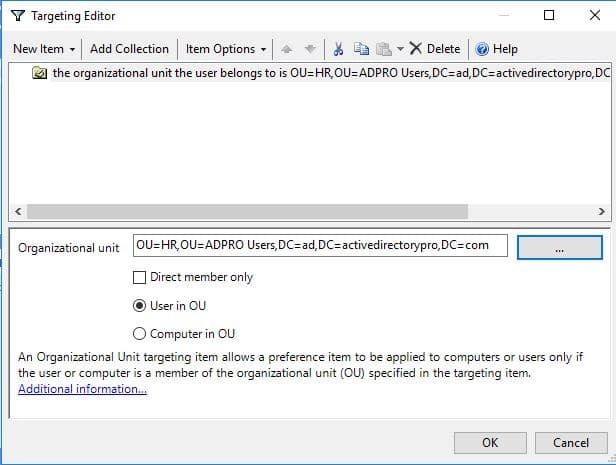 I’ll use item level targeting so it only maps this drive for users in the HR organizational unit. 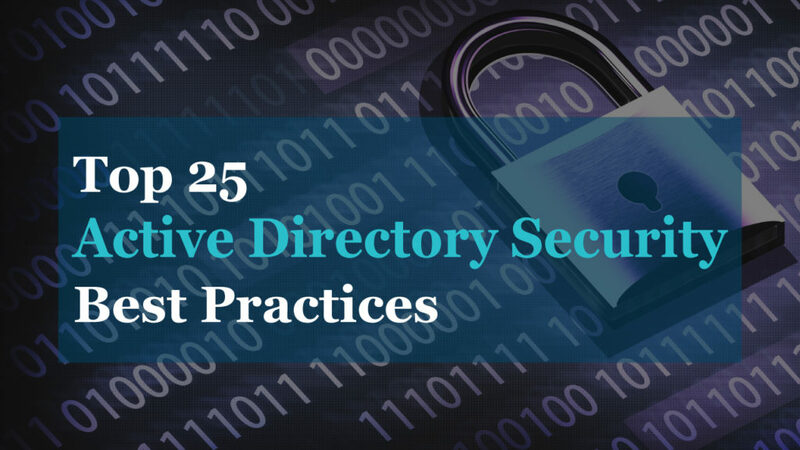 You could also use a Security Group to target a specific group of users. This will map to a network share that only the HR department has access to. TIP: This will be a user based GPO so make sure you link the GPO to a location that will target the users. 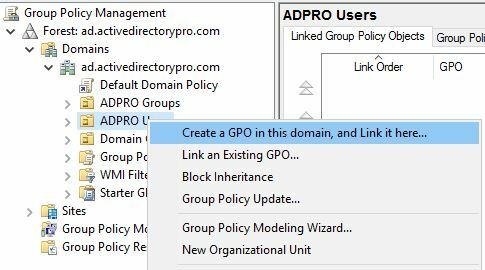 I have all of my users separated into an OU called ADPRO Users, I’ll create and link the GPO there. I can later add additional drive mappings to this GPO. 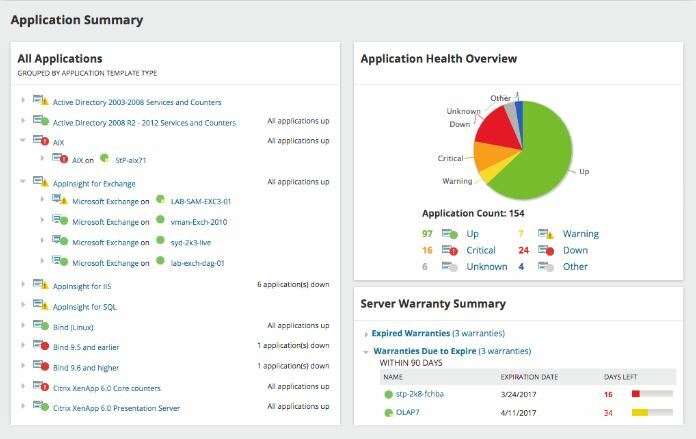 The new GPO is now created and linked, now it’s time to configure the settings. In location put the path to the share/folder you want to map a drive to. Label as: This is optional but may be beneficial for users. For the GPO to run I will need to reboot the users PC or run gpupdate /force. 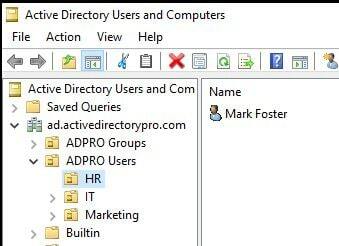 The next time a user from the HR department logs in they should see a mapped drive. I’ve rebooted the computer, now I’ll log in with an account that is in the HR organizational unit. Once logged I will go to file explorer and check for the mapped drive. 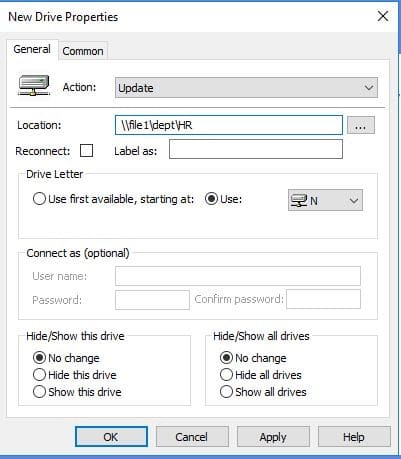 Now, any user I put in the HR folder will get this mapped drive. If you don’t want to use an OU you can also target a group of users by using a Security group. This example will map a drive for individual users. This will give the users their own personal folder to save files. You can create a new GPO or add to your existing one, I have all my drive mappings in one GPO. This example requires a folder be setup on a network share that matches the user’s logon name. You will want to modify the NTFS permissions so the individual user is the only one that has permissions to it. 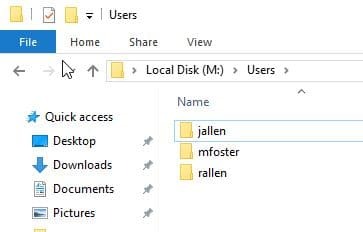 I’ll be using Mark Foster as an example, the logon name is mfoster so I’ll need a folder setup on a network share called mfoster. I’m not going to repeat every step, I’m basically starting at Step 3 from the first example. The %UserName% is a variable that will match the user’s logon name. Just to be clear you must have folders setup on a network share that matches the location and users logon name. My file server is file1, the share is users and in the user’s folder is a folder for each user. Screenshot below of users folder on file1 server. Perfect! Now the user is mapping a department drive and a personal drive. 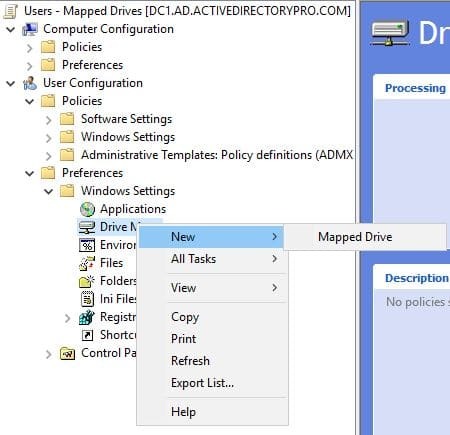 As you can see mapping drives with group policy is very easy. It doesn’t require any scripting experience, it’s just a matter of a few clicks and selecting your desired settings. 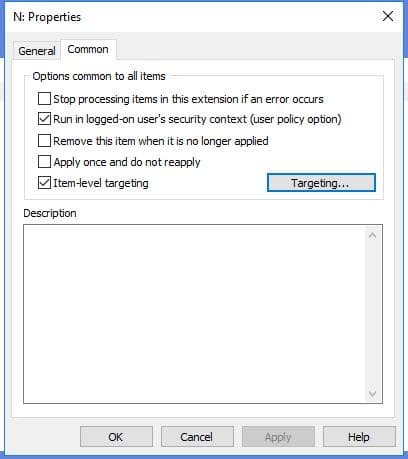 If your still using logon scripts follow the steps in this guide and replace them with Group Policy. The biggest challenge is just finding the time to switch them over. Now it’s time to switch over those logon scripts. my %username% varaible is not working on the server maping drive . like you did in the screenshot you send to me . Does it return the username? The variable that you can use in GP Preferences is %LogonUser%. There’s a great shortcut that you may want to use while editing GP Preferences: press F3 to show a list of all usable variables. Sam, thanks for info. I did not know about the f3 option. Can you explain why you chose the update option, instead of Create? Update will create the object if it doesn’t exist, it also allows the object to be updated later if I change it. So it works like create plus allows updates. Using the create option does not allow updating the same object. 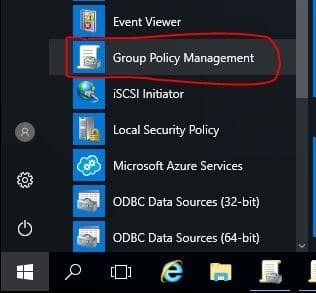 When using group policy preferences I almost always use the update option. 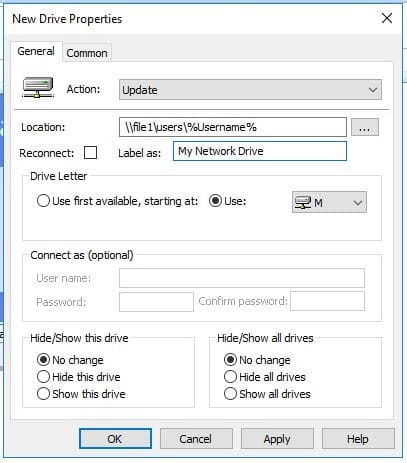 Can I re-use a drive letter if I am targeting a different OU or Security group? For instance, I use “S:” to map one shared folder to users in one OU and use the same letter “S” to assign to another resource targeting a Security group. Ben, yes you can do that. I use the same drive letter for each department and target the OU.